HBIS Group to sell 70 per cent stake in its Southeast Asia operations for a cash consideration of $327 million. According to the agreement, the divestment will be made to a company in which 70 per cent equity shares will be held by an entity controlled by HBIS and 30 per cent by T S Global Holdings Pte Ltd, an arm of Tata Steel. The two divested assets are Singapore-based NatSteel Holdings Pte Ltd, and Tata Steel (Thailand). This deal also includes Tata Steel's operations in Vietnam. The company held a 100 per cent stake in NatSteel, and a 67 per cent stake in Tata Steel Thailand. The new entity will have an enterprise value of $685 million, including about $150 million of debt. BNP Paribas was the sole advisor to the deal. As of March 31, 2018, Tata Steel’s consolidated net debt stands at Rs 92,147 crore. 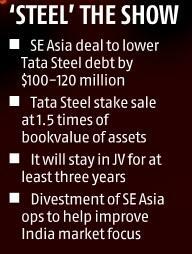 Subject to regulatory approvals, the sale of the assets would take three-four months, said Tata Steel in a statement. The management informed that it intends to be in a partnership with HBIS Group for at least three years. The joint venture entity could also consider an initial public offering at a later stage. “There is no fixed timeline for how long we (Tata Steel) should remain in a partnership, but at least for next three years we will be there and will wait for an upside before exiting the new entity,” said T V Narendran, chief executive officer and managing director, Tata Steel. Meanwhile, brokerages said through the divestment of its Southeast Asia operations, Tata Steel has given clear indications that going ahead, its focus is the domestic market, where the company is on the right side of the business cycle and the scope for capacity expansion and demand consumption is higher. The Ebitda (earnings before interest, tax, depreciation and amortisation) contribution of the Southeast Asia operations was a paltry sum to the consolidated figure and this move would save management engagement in the region and help focus better on India market, they said. 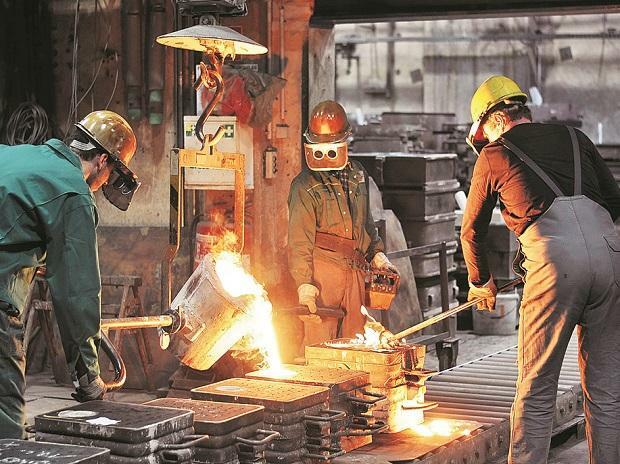 As per September earnings, Tata Steel’s Southeast Asia Ebita contribution stood at just about 1 per cent to the consolidated figures; Europe contributed 12.3 per cent, while the recently acquired Bhushan Steel contributed 13 per cent. Last year, Tata Steel signed a definitive agreement with ThyssenKrupp AG to create a 50:50 joint venture for its Europe operations. Tata Steel has been one of the aggressive bidders for insolvent assets in India as it looks to grow capacity in the country to be part of the overall 300-million tonne production target set for the industry for 2030.